Bideford has an abundance of young people, as soon becomes evident when walking round our town at certain times of the day - or night. Initial impressions might suggest that they are happily wrapped up in their own world of virtual reality, apparently surgically attached to various bits of technology. help them. They wear a distinctive but simple ‘uniform’ so they can be easily recognised. They work with other partners, such as the police, to make our community a safer place. Interestingly, over the years, the police have noted the connection between a reduction in ‘incidents’ and the presence of Street Pastors. School Pastors are a more recent development of Street Pastors. A School Pastor cares for and supports a 'school community'. They are there at the invitation of the school and aim to support schools by reinforcing what the schools are already doing. Their role is to listen, care for and help young people, hoping to see them grow into worthwhile members of our community. Each school has its own priorities and will, therefore, decide where the input of school pastors can be most effective. patrol is jeopardised by a shortage of prayer backup. There is a great need for more Street Pastors, School Pastors and Prayer Pastors. Having read this short article, perhaps you are feeling that you may have a calling in this direction. If you do, the person to contact is Duncan Withall at bideford@streetpastors.org.uk or 07592 021464. The circuit supports Rural Ministry in the form of a Rural Worker. The focus of the post is to develop ecumenical, lay and ordained, Chaplaincy teams to serve in each of the Agricultural markets in the District (largely the County of Devon). In consultation with an ad hoc local ecumenical committee each of the three Rural Workers who have filled the post were appointed by the Methodist Church, but did not have to be a Methodist. The three incumbents of the Rural Worker post have acted as pastor and counsellor to many individuals under intolerable stress as the changes to their way of life have piled on one another. The value of this work had never been in any doubt but the appointment of Alan Andrew, a local farmer, just 6 months before the Foot & Mouth outbreak in February 2001 can only be viewed as providential. That immediate crisis passed, but the needs of those living and working in the area did not diminish. The present incumbent since 2010 is Andy Jerrard. His brief changed to include an element of building pastoral support and his success in building Chaplaincy Teams in a few markets has been recognised. 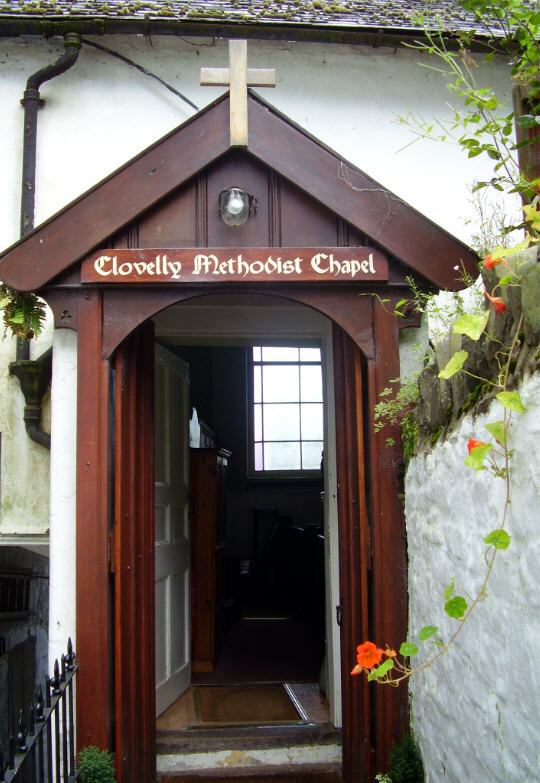 Clovelly Chapel no longer has a regular congregation, but has a ministry as a house of prayer for the many visitors that come to the delightful Clovelly village. Prayer cards can be filled in by visitors and these are collected regularly by circuit members, and prayers offered. The circuit has invested in a video and screen which is proving popular. Services are still held 3-4 times a year, supported by the minister of Hartland.